Whew, where to start this post. Admittedly, I kind of have butterflies as I’m typing this all up. I do my best to share personal updates on my blog through Step Into My Week posts but sometimes don’t feel like I can share everything. My friends would tell you that it’s kind of shocking that I have a blog and share my life on the internet since in real life I can be very private. They will ask me how a date went, and I’ll respond with “it was good” and leave it at that until they ask for more specific details. Sometimes they hate me for it, but at this point most of them are probably used to it. Part of the reason I may be so private could be due in part to the fact that I do share so much of my life with y’all on the internet. With all of these sale posts going live this week I wanted to make sure to give you the more substantial content that any of you may come to Prep In Your Step seeking. I do my very best to mix in product and style content with helpful tips for y’all while giving you a look into my life and this week that has been tricky since there are so many great sales I want to share with you. Hence why this is the second post you’re seeing that is new on the blog today. And I’m finally admitting things both to myself and to y’all that I’ve previously avoided sharing. Enter answers to the stream of questions I’ve avoided: Are you teaching next year? What are you doing next year? Where are you moving? Why don’t you share more about teaching? Will you do a post on XYZ teaching related thing? The honest answer is that I am not teaching next year. Leaving school on the very last day. Let’s back track a bit so you have this answer in better context…Second semester of junior year of college I started questioning whether or not I chose the right major. I’m not sure my parents even know that that is when I truly started questioning my decision. Growing up I knew I wanted to be a teacher. I adored the teachers I had, was a good and hardworking student, and I was dead set on the plan I had. My friends all claimed that I would be the one friend that graduated in the same major that I entered college with. While I may have proved them right there were plenty of times I questioned myself. 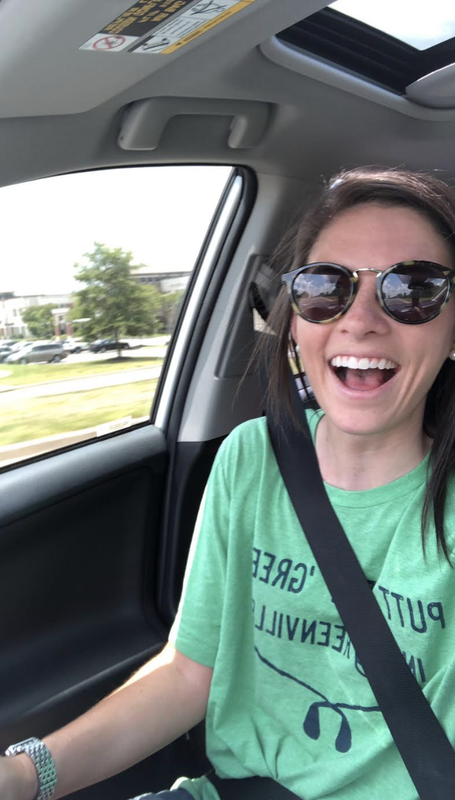 These thoughts came at a time when I was more stressed than ever juggling college classes, student teaching, presidency of my sorority, and trying desperately to keep up with my blog. If you look back at blog posts in the Spring Semester of my Junior Year (2016) you’ll see that posts are few and far between. News flash: you can’t do it all. Trust me, I learned this the hard way. I was consistently getting four hours of sleep and was more stressed than I’ve ever been in my life (resulting in a not so cute stress rash that eventually extended to my legs and would wake me up at night). Again, these are things you definitely didn’t see me talking about on my blog when I did finally upload a post that semester. I do have to also note that second semester of my junior year was also one of the most fun semesters of college I had while simultaneously being stressful. I did some research about other majors at Furman discovering that the Communications major only required 8 courses which could’ve been done entirely in my senior year, but I didn’t pursue it since I didn’t want to just be a communications major and I definitely didn’t want the education department, my friends, or my family to think I was a quitter. Ultimately, I brushed off the feeling that I was in the wrong major as me just feeling overwhelmed with all that I was trying to do. Senior year was a little bit better when it came to how I felt about my major and I think that has to do with the fact that I made it more of a priority to get blog posts live as it became clearer that Prep In Your Step wasn’t only a creative outlet but also a stress relieving life line that allowed me to escape reality for the amount of time it took to work on posts. I also began my student teaching practicum that year and loved the teacher I was paired with and overall enjoyed my time teaching those students. It also helped that I was only taking one education course in the fall and had the opportunity to take two elective classes in which I naturally chose a communication and graphic design course, two of my favorite classes that I took during my time at Furman. Connecting the dots with where my interests lied should’ve happened sooner but I’m stubborn and was determined to tough it out and maybe attempt to enjoy teaching as much as I had imagined I would when I was younger. Putting myself into the box that I had always pictured for my life wasn’t the best idea since it caused me to ignore any doubts I had and question their validity. My classroom in the packing up stage and as I left it for the last time. So, I toughed it out, job hunted for a teaching position, and planned to start my master’s degree in Early Childhood Education the following June. That’s a lot of education for someone hesitant that education was the right fit. I had a month off after graduating in May of 2017 and headed home to Fairhope, Alabama to soak up my short summer and work nonstop on my blog until kicking off my grad program in July. We were all pretty whiney when it came to having classes from 9-4 all summer so I continued to brush off the idea that I should have done something different. 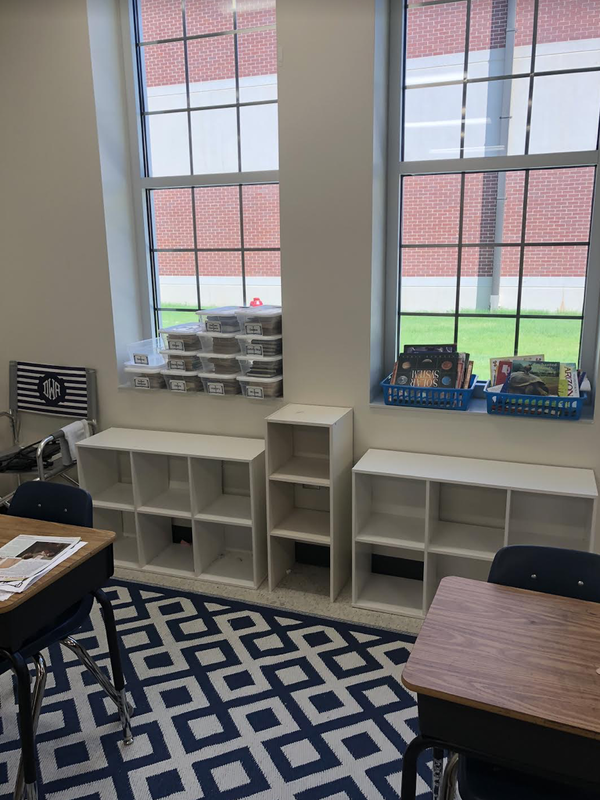 Fast forward to the beginning of the school year when my fourth-grade classroom was set up, I had met my students, and I was starting to feel slightly more optimistic for the year to come. I finished up my first week without a voice and downright exhausted as I adjusted to this new experience. That could describe all of my friends who had just started teaching. We spent that entire first weekend neglecting the need for fun and working instead on lesson plans and things we realized we forgot for our classroom. 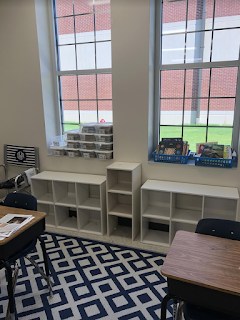 The second week there was still some excitement but also some very unexpected behavior problems in my classroom that left me in tears wondering how on Earth I would survive the school year. I can’t tell you the number of times I questioned whether or not I would make it through the year. I had a lot of support from my supervisor, Furman mentor, and mentor at my school, but they were equally as challenged by the situation I was in with my class as I was. I’m sure y’all have heard the saying “do one thing every day that scares you” but that embodied how I felt going to school most days in the fall. I would feel panicked on Sunday nights and wake up with a knot in my stomach on Monday mornings. 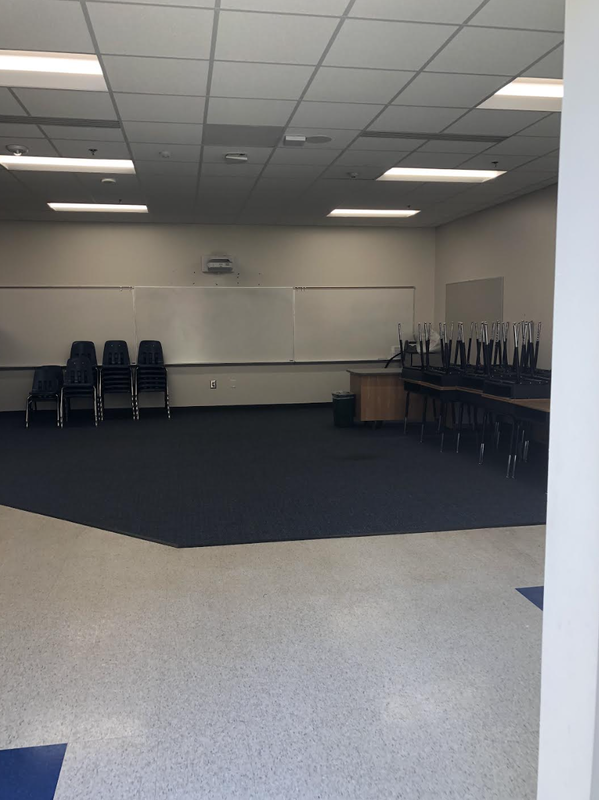 The teaching part came easy to me and I really liked lesson planning but the classroom dynamic I was placed in and desperately tried to change made the past year downright challenging. I’m not one to normally stray from a challenge but I learned that year that there is a difference in feeling challenged and trying to face that challenge and constantly wind up defeated. Things got better at times but overall it became more and more clear that if I were to stick this out there would be no doubt that my personal sanity and mental health would suffer. My parents received more phone calls crying than I care to admit and there was a time around Christmas when if I could’ve quit without leaving my kiddos confused I would have. I have already gotten to the point where I am sad that I won’t be there to hug them on meet the teacher and encourage them about how great fifth grade would be but sadly I don’t think the stress and feeling of teaching getting in the way of other passions would really go away. Yes, next year I’d have a different class, but I know that I would still feel as though I was teaching because that’s what I was “supposed” to do and not because it is what I really want to do. I’m certainly not trying to make it look like I’m throwing myself a pity party but instead hoping that you realize that my decision was not made rashly. I think it’s important to point out that while a lot of my experience was tainted with stress and absolute overwhelm I’m confident that this was not solely because I was starting my first job and trying to balance out how to be an adult with how to be a graduate student. I am aware that the first year of just about any experience or job can be challenging. In my situation, it moved beyond that and I started to discover that teaching felt as though it was getting in the way of what I was truly passionate about including blogging. If my blog had been where it is at now when I started college, I have no doubt that I would have chosen a different path and major. I know that moving forward away from the field of education for the time being will come with its own share of challenges. I’ll think about my students as their new school year begins and will have to come up with another excuse for lingering around the school supply section in Target. I’ll miss those friends I have made at the school where I worked and will probably have a number of days where I doubt that I made the right choice when it comes to choosing a different path that has nothing to do with the two degrees I’ve worked hard for. But ultimately, I feel confident that I am finally starting to make the right decision for myself, one in which I’ve considered for a while but have been too afraid to actually pursue. As a planner, it’s pretty terrifying to step away from a solid plan and job that actually uses your major in pursuit of something completely different. BUT, that is exactly what I am doing once I graduate from my master’s program in early August. Ideally, I’d like to move a little bit closer to home. I am at the point where I am kind of tired of going home having to be a big event since Greenville is an 8-hour drive. Since I am looking into more social media management, public relation, or publication jobs, Greenville isn’t necessarily the best place for that. I adore Greenville and if they had more opportunities in this field then I would definitely stay put. The city is constantly expanding, I have an amazing group of friends, and my love for South Carolina has grown immensely. But, I know that whatever my next job may be, I want it to be something I love and right now I’m not seeing a ton of postings of that nature here. Right now, my target city would be Birmingham, Alabama. It’s still about four hours from my hometown but that’s definitely a more manageable drive on occasion. If you happen to have any connections in these fields or know of people in Birmingham who may eventually need a roommate or friend in the area, please please please DM or email me! I had hoped to make this announcement about changing paths with a plan and job in place for when I leave Greenville but decided to go ahead and share since I have been getting a number of questions as the new school year approaches. I am optimistic for the positing’s I’ve seen and am hoping that I’ll be able to find something that truly embodies what I want to be doing before too long. The lover of efficiency in me is really hoping to have something lined up right after finishing my master’s in mid-August so that I only have to move once, but I want to make sure that my next job is one that I am really excited for. If nothing has panned out at that time, I’m planning to move home for a bit (something I never thought I would do) while I continue to search. Fortunately, if this is the case I’ll be able to focus more time and energy than ever on Prep In Your Step although I can’t foresee myself blogging full time anytime soon (I love structure and routine far too much to be my own boss at the moment). After nearly seven years of juggling school and blogging (and at certain points a full-time job too) this would be a really cool experience to dive into what helped me to realize what I really want to be doing career wise. I also have no doubt that no matter what my next job may be, Prep In Your Step will continue to grow up with me through that next phase as well. I definitely feel lucky to have such a supportive family, especially my parents who are trying to do everything in their nature to make the idea of me moving home seem really exciting and fun to counter my hesitations. They have been my biggest cheerleaders as I’ve come to terms with what I want to do and while at times they encouraged me to stick out another year fully realized how relieved and stress free I felt when I finally made my decision. According to our recent family beach trip, some members of my family said that I have never seemed so relaxed (especially given that I don’t have a firm plan for next year), and I think that relaxation comes because I know that I’ve made the right choice. Friends who have listened to me question what I want to do and have supported me in this have also made me feel more confident in this next stage as well. I really am lucky to be surrounded by people who want the best for me even when that means I’m taking a huge risk since the decision would be so much harder without their support. While this decision has been made up since early May, I hope that you understand my hesitation in talking about it in full. 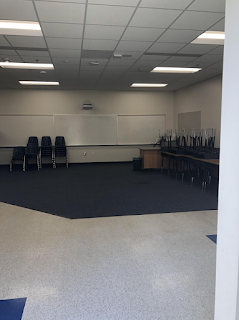 This also hopefully will give y’all a better idea of why I have chosen not to talk too much about teaching on my blog since Prep In Your Step has served as such an escape. And while I know that y’all don’t necessarily have to agree with my decision to move away from teaching at this time, I do hope that you’ll be supportive and understanding in my reasoning since I am confident that this is the best choice for me at this time. That may be the longest post I’ve ever written for Prep In Your Step, but I didn’t want to leave anything out. I attempted to organize my thoughts as best as I can, but with this being a yearlong decision in the making I’m sure some of this may seem jumbled. I am truly impressed by any of y’all who made it all the way through and appreciate you taking the time to read this post! Many of you have been around through so many of my life decisions and I am thrilled to finally share this next big one with you. Here’s to the next chapter! Actually this is wonderful. I recently did the same thing. I’m still in school switched my major and have to go longer for undergrad. But the relief I felt that I had made the right decision was so much bigger than the pain and anxiousness and doubt I had before. I had to quit my job because I got sick as well from manageing too much at once. I didn’t have a job lined up until right before summer started and I was scared. But it’s just God’s bigger plan for you and someone like me who has to know everything, this was one big lesson of faith. He’s in control and he’s not going to let you fail. All the love and best wishes! This is so awesome! Thank you for sharing on here! A couple years ago, I quit my program at University and was so scared! I had no plan for the future but I knew I wanted to pursue Marketing. I ended up working for 8 months and then started at a different college studying marketing. It can be so hard to step away from something you thought was your path for so long, and hard to leave friends behind!! But ultimately the friendships stay anyway and it's so worth it to pursue your dreams! I think you should be so proud of yourself, all you have accomplished so far & I'm sure you will do so many great things! Learning to adult and figuring out what you want to do in life can be exciting and equally scary. I just finished my first year of teaching, so I know how you feel. I've always admired how you balanced life with blogging. As a sorority president, student teacher, and teacher I was always jealous of how easy you made it seem. Know that you are not alone in this journey! Dorothy, I'm so happy for you-just because I finally feel a sense of relief in your writing in this post! I taught for two years immediately after graduation and then realized it was not what I wanted to spend my life doing, so at the urging of my husband and family I decided to not go back and it was the best decision. It's so scary to do something without a firm "plan" and I do miss my kids, the school, my co-workers, etc. very much. I miss my content too! But I know I'm finally doing what I'm supposed to be and I hope you'll have that same feeling as well. Since I'm a 'Bama girl too, I'll keep my ears open for positions in the 'Ham as well as any friends that might be looking for a roommate in the next few months. Congratulations again on doing what you truly want to be doing now! Hi, Dorothy! Thank you so much for sharing this with us, I'm sure a lot of people struggling with the same questions can benefit from your post. A few years ago, I was one of those people, seriously unhappy and disappointed with my major, until figuring out what I loved to do. For years, basically everyone I met knew how much I wanted to become a Math teacher, but that never panned out. After 2 years of college, I switched to Computer Science and it was the right path for me back then. But somehow, I knew teaching was still my passion and after graduation, I ended up pursuing another degree (Elementary Education). It wasn't an easy trajectory and now I get to work intersecting both my degrees and my passions. Even after we make a big decision like this one, we end up questioning ourselves more often that we should. But it happens. What this whole experience taught me was that we do find ways to go back to the things we love, even though it won't always be what we envisioned. You will find your way. Maybe even go back to teaching, since that are plenty of options out there: seminars, colleges, workshops... follow your instincts and use your skills. You are a fellow teacher, after all. You can do this. So excited for this next chapter for you, Dorothy! I've been following your blog for a while and love how passionate you are about everything you do... and that definitely showed in this post. I currently work in the PR/social media industry so if you would ever like to connect let me know! It's a fast paced environment and definitely far from structure (which is a curse and a blessing) but you learn and grow so much. You're going to be awesome and cannot wait to see where your career takes you! At least you figured out that teaching was not for you before it was too late and you were into another school year. I think I was one of the few out of my friend group that did not change their degree at all during college (Communications and Nutrition grad here). I'm from Alabama too and I would say for you to look at Huntsville also. I maybe a little bias since I live there. The location is great, the humidity though not so much. I loved reading this post and I wanted to say thank you for sharing it! I'm a current college student with two majors, one of which I absolutely love and the other I sometimes whether or not it's right for me. I've always been an overachiever and like you, I don't like quitting things so this was a very relatable post for me. I'm so happy you shared this and I can't wait to see where life takes you next! As a Studio Art Major, Education Minor , I graduated with my teaching degree for K-12 Art. I taught for nearly 10 years, and am now a full time Mama of two girls. I decided to stay home with my girls, and don’t regret my decision for one second. I actively volunteer in the community, and recently had an opportunity to run the Art Masters program, a Volunteer based art program at my daughters Elementary school. Sometimes life leads you in a different direction for a reason.